The Wilbur Smith Discussion Forums • View topic - Hello, i'm new to all this so will kick off with a question! Which out of all the books (which all i have read and eagerly await the next) could you see being made into a modern cinema adventure? If so, who could be cast as our heroes and do them justice? For me it has to be The Courtney Novels - Kicking off with 'The Burning Shore' and ending with 'Golden Fox' I feel these books would lend themselves to modern film making very well, In the same frame as Edward Zwick's 'Blood Diamond' these films could be huge!? Although deep down in my heart i would prefer to see 'Birds Of Prey', 'Monsoon' and 'Blue Horizon' I am not sure any film producers could replicate these fantastic settings on the budgets available to them. 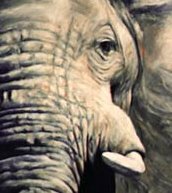 There is also 'Elephant Song' could be a very dramatic hard hitting film which could make a real impact on the modern poaching problem in Africa. Re: Hello, i'm new to all this so will kick off with a question! River God and one on all the books called Books into Movies. Looking forward to reading your thoughts on these and other topics!